After being transported to the Big MT research crater, you find you're the only hope of saving the Think Tank – the strange group of post-human researchers who inhabit the facility. They enlist your aid to save them from their own experiments - experiments that have gone horribly out of control. As you explore the huge stretch of the Big MT crater and its many underground labs, you’ll confront strange mutated animals, battle terrifying new atomic robots, and discover a new home base to call your own. Recover all the weapons, armor, and tech of the Pre-War era and use them to help save all of Science! 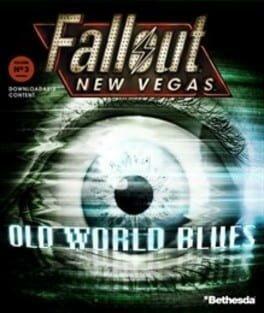 Fallout: New Vegas - Old World Blues is available from 4.99 to 4.99 from 1 shops.